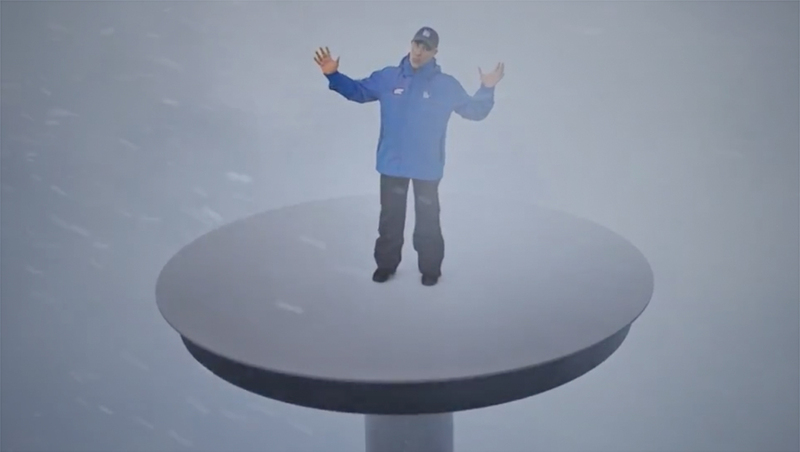 The segment, which features Jim Cantore, starts with Cantore on a virtual platform placed 6,500 feet in the air, complete with simulated clouds and precipitation. Cantore is eventually “lowered” to 1,800 feet to showcase the science behind precipitation at this altitude — before zipping down to street level. During this part of the segment, Cantore’s platform is in the middle of town street and he dodges virtual falling icicles and an out of control bus, while yellow tags pop up highlighting key facts and data points. As with its past IMR segments, this piece, which is tied to the approach of Winter Storm Harper, is produced as part of a partnership with The Future Group.